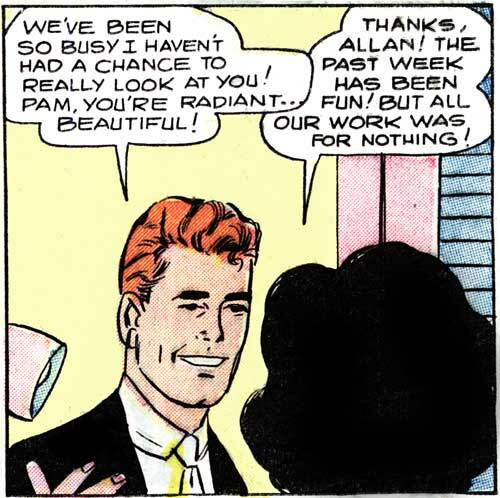 Art by Vince Colletta Studio from the story “Made for Romance” in FIRST KISS #4, 1958. Well, maybe not for nothing. But, gee…you’d think doing these Last Kiss comics would make us insanely rich. The way things are going I barely afford to buy a new yacht. Radiant. Beautiful. Got that preggers glow, does she? Oops. You’re absolutely right. I’ve corrected it on the website. Thanks!